After Rodney King was beaten by Los Angeles police officers in 1991, a panel investigating excessive use of force by the LAPD found that officers operated under "an organizational culture that emphasizes crime control over crime prevention and that isolates the police from the communities and the people they serve." As a result, police violence and racism stems from this culture which teaches "to command and confront, not to communicate," the report said. A San Francisco civil jury today ruled in favor of a white, former transit officer who fatally shot an unarmed, black man in an infamous killing captured on cellphone cameras. The federal jury awarded no damages to the father of Oscar Grant III, killed by a single shot to the back from BART Officer Johannes Mehserle early on Jan. 1, 2009 in Oakland. A Los Angeles jury rejected a murder charge against a Bay Area transit officer who shot an unarmed man on a train station platform, but found him guilty of involuntary manslaughter. 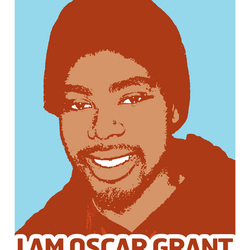 The killing of Oscar Grant III was captured on video by transit riders who witnessed the shooting. The officer, Johannes Mehserle, testified that the shooting was an accident when he mistakenly drew his pistol instead of a Taser. Mehserle was sentenced to two years behind bars and served about a year. The killing sparked protests and later inspired the film "Fruitvale Station."